Petition daily. Then call the OOO office. LOL no. Don't listen to me. Petitions do help a little though. Sniff. My pet pig and I were all dressed up in our rosy pink best and ready to pose, when I realized Eggycats wouldn't be joining us. Sniff. We may never recover from the disappointment. Sniff. On a brighter note, Dexla's Barry White fantasy ought to inspire some interesting fanfic somewhere. For the time being, serving as temporary placeholders (until such time as "real" images can be acquired), and in accordance with previous practice (i.e. previous instances of these types of placeholding images), I've uploaded an appropriate sized "Missing image" for the missing dolls (and lone egg). 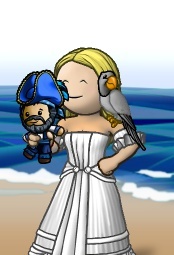 Once a "proper" image can be found for each such missing doll, it can be uploaded in place of the temporary placeholder, and its "tag" can be updated accordingly. To be fair, it's technically standard practice. We just don't really practice it, mostly because it adds about six steps to the procedure. @Pianoman- i noticed Clio wasn't wiki-ninja'd out of the OP. We can cross off Glaucus now too. Thanks for the image Masters! Portrait item page is now updated and the first page list as well. Only 5 more to go for completion. Now officially dating half your Parley Trolls. 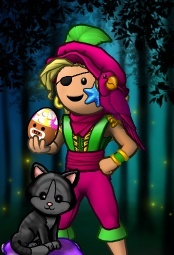 Fixed Eightycats' egg not being able to be held in portraits. 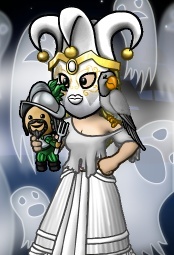 Fixed portraits for Fishheadred and Hephaestus dolls. 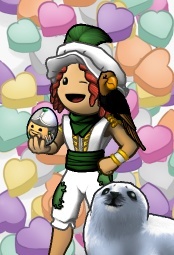 Somewhere a Heph doll portrait is lurking- find it and bring it to us! 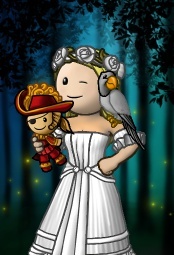 I think the hook overlaps with the corset, you can sortof see the edges. Actually, scratch that, that's the edge of the ruffle arm thingie. If we're going to be picky, Cronus' doll is magenta, but his portrait doll is indigo. Prometheus is look fine on the YPPedia now! Only 4 more to go. /squishes He has a tiny fork and everything! Holy cows. They based it on your avatar! How full of the awesome. What's the inscription? Gaea has been spotted- I did some snooping! "The first of its kind! 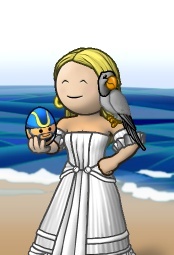 Awarded to Cattrin on October 30th, 2012, for her Forculus avatar drawing." 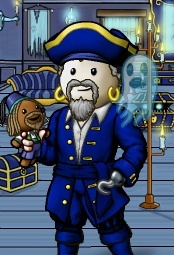 Maybe Cleaver's dolly is positioned so that Cleaver's cleaver is obscured by the pirate holding him? I don't think either are on the wiki at the moment. Mind the colossal bump, but I thought this was the place for this. Even his egg is holding a tiny fork!